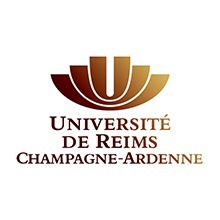 The University of Reims Champagne Ardenne (URCA) is a multidisciplinary university with 24,000 students. Two of the 31 research units from URCA are involved in the Valbran project: the URCA-INRA unit FARE (Agro-Resources Fractionation and Environment), and the URCA-CNRS unit ICMR (Institute of Molecular Chemistry from Reims). The research developed at FARE concerns the valorization of lignocellulosic biomass into molecules of interest, in particular by biotechnological processes. Among its research themes, ICMR develops original synthetic ways to access molecules for the health and biorefinery sectors. FARE and ICMR have collaborated over the past 15 years to develop enzymatic functionalization of carbohydrates with low environmental impact and thus to produce original molecules that are difficult to access for different applications. The CNRS laboratory “Enzyme and Cell Engineering” (GEC, FRE 3580 CNRS) is a Joint Research Unit located at Amiens, Picardie Jules Verne University (UPJV) and at Compiègne University of Technology (UTC). Researches activities revolve around two main areas: plant metabolism and bioresources; and biomimetic and molecular diversity. GEC has acquired a strong national and international recognition in the field of biotechnology and especially in biocatalysis, plant biotechnology including biosourced materials and molecules as well as biomimicry. The unit aims at combining a better understanding of cellular and biological processes with the application of novel biotechnological approaches and technologies. Two actors from the University of Liege are involved in the ValBran project: (1) the Laboratory of Molecular Biophysics at Interfaces, which is competent in characterizing the physico-chemical properties of surfactant molecules. Two complementary approaches (experimental and modeling) are used to study the interfacial and membrane interaction properties of amphiphilic molecules in order to understand the structure-function relationships of surfactants and their mechanism(s) of action in the fields of agronomy and human health. (2) the Enterprise-University Interface which accompanies and advises researchers on the economic valorization of the research results and works. ValBiom is a Belgian association that promotes the valorisation of non-alimentary biomass. Experts in bio-based energy and products, Valbiom engineers are well-versed in the technical, economic, environmental, and legislative aspects of sustainable development. ValBiom therefore serves as a mediator for the industry by consulting with project managers, actors in the relevant sectors, and governing authorities. For the ValBran project, ValBiom ensure more precisely the life-cycle analysis for the production of surfactant molecules from wheat bran, as well as all aspects related to the communication of the project (communication supports and actions, events…). At INAGRO, a part of the task is located within Agreon which is a network of SME’s from West-Flanders that develop innovative products for the agricultural sector. It brings farmers and SME’s together, with the aim of helping to make the agricultural sector more ecological and the SME’s economically stronger. The Flemish Institute for Technological Research (VITO) implements customer-oriented research projects and develops innovative products and processes. The multidisciplinary business unit Separation and Conversion Technology (SCT) has organized its strategic research program around the theme ‘Sustainable Chemistry’. The focus on innovation for sustainable chemistry is in three domains, i.e. process intensification, sustainable use of raw materials and renewable, bio-based chemicals. SCT will intensify the sugar ester as well as alkylglycoside enzymatic synthesis process by removing the (co)product as well as by recycling the used solvents. Herefor mainly membrane based filtration technologies will be used.